President-elect Donald Trump's pick for Commerce Secretary said Wednesday night that the renegotiation of the North American Free Trade Agreement is one of the first -- if not the first -- things he will tackle on Day One of the job. 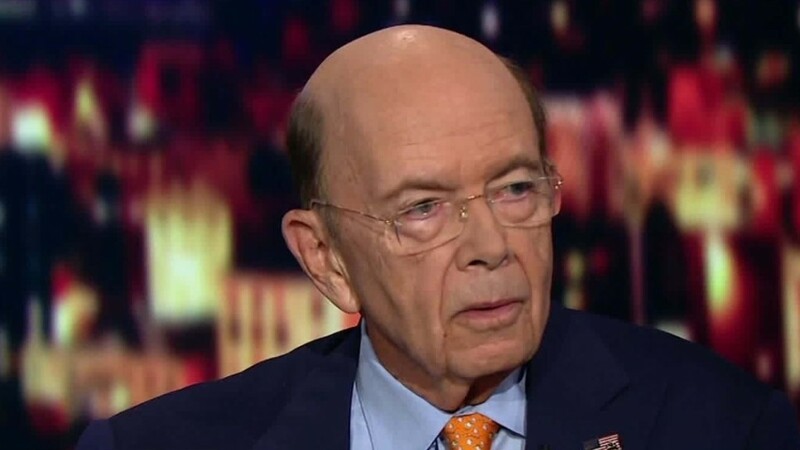 In an interview on CNN's "Erin Burnett Outfront," Wilbur Ross, the chairman of private equity firm WL Ross & Co, said "we're working out the fine-point details, but NAFTA is a logical starting point," adding that it would make sense because it was a large part of Trump's campaign. When it comes to China, which Trump also focused on during the campaign, Ross said "China is the world's biggest exporter, but they're also the people with one of the highest tariffs on imports in the whole world. That seems a little bit oxymoronic." Ross said Trump will not blink in talks with China, and said the president-elect means business when he says he would impose as much as a 45% tariff on China if it turns out their currency is overvalued by as much as 45% and they refuse to negotiate. Ross insisted that Trump does not back down in negotiations. "I've negotiated with him [Trump] over the years and he is not a bluffer," he said. "So if he says he will do something in a negotiation, not -- I'm not talking about a campaign speech, in an actual negotiation, if he says if you don't do this, I will do that, you bet your booty he will do it." Ross, a billionaire, pushed back against criticism that Trump has picked multiple billionaires for his administration despite running a populist campaign, saying he gets along quite well with unions such as the Teamsters and United Autoworkers. "The fact that you're successful doesn't mean that you can't relate to working people," Ross said. Ross also said that he has complete faith in Trump. "I wouldn't be giving up my day job for -- for any other reason except I believe in him," Ross said. "I believe in America. And I believe it's going to work just fine." He pointed to the stock market as proof, adding "I see a bull market has happened. I see record-breaking prices. And pretty soon, in the next year or so, you're going to see some real impact on the economy."